To implement the forceps procedure, it is important to accurately assess the level of the fetal head in the pelvic cavity and to steadily master the forceps techniques by training.In the occipitoanterior position, the cross section of the fetal head passing through the birth canal contains the suboccipitobregmatic circumference. In contrast, the corresponding cross section in the frontoanterior position contains the mentooccipital circumference. 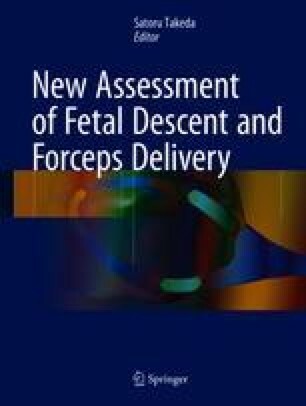 Therefore, regardless of fetal size, it is more difficult for the fetus in the frontoanterior position to come out, often leading to prolonged or arrested labor. The online version of this chapter ( https://doi.org/10.1007/978-981-10-4735-0_3) contains supplementary material, which is available to authorized users. Application of UTokyo Naegele Forceps in Right Occipitoanterior Presentation (Front View). Application of UTokyo Naegele Forceps in Right Occipitoanterior Presentation (Side View).